Posted 1/9/13 – Arlie Elizabeth Patterson Hahn died Thursday December 20, 2012, one day shy of her ninety-eighth birthday. Arlie lived a full and wonderful life, much loved by her family and friends. Arlie was born December 21, 1914 in Washington State, where her family homesteaded. The family moved to Los Angeles in 1922. Arlie graduated from Manual Arts High School, Los Angeles, in 1933. She married John Dee Hahn on May 25, 1934. Arlie and John moved to Sierra Madre in 1960. 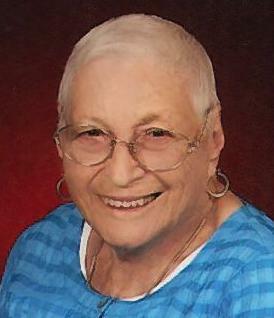 Arlie was always very committed to her community, and volunteered with many groups including Knox Presbyterian Church in Los Angeles, Bethany Church in Sierra Madre, the PTA, Republican Women’s Club, Sierra Madre Garden Club, Sierra Madre Women’s Club, Sierra Madre Civic Club and the American Red Cross. She felt that “People who don’t get involved lead a sad life.” Arlie was named Sierra Madre Senior Citizen of the Year in 1984. She was Volunteer of the Year of the Foothill District, San Gabriel Chapter of the American Red Cross in 1993. She was an Honorary Life Member of Sierra Madre Civic Club. Arlie was preceded in death by her husband John, her son Robert and granddaughter Alison Selleck. She is survived by her children Winifred (Carl) Westberg, Arlabeth Hahn, Margaret (Craig) Switzer, and Charles Hahn, her daughter-in law Jo Hahn, nine of her ten grandchildren and fifteen great-grandchildren. There will be a Memorial Service celebrating Arlie’s life at 2:00 p.m. on Saturday, January 19, 2013 at Bethany Church of Sierra Madre, 93 N. Baldwin Blvd., Sierra Madre.